Just when you thought it was impossible to pack any more technology into a phone, along comes the iPhone 7. With a rear camera of 12 megapixels, a 7-megapixel front-facing camera with flash for selfies, water resistance and a new improved, brighter display... The iPhone 7 has it all! As well as the upgraded camera, the new iPhone 7 includes a new home button and the absence of the 3.5mm headphone jack. Still available in pink, gold, and silver, you also have two new shades of black to choose from: a matte 'black' which is really dark grey and a never-before-seen glossy black. 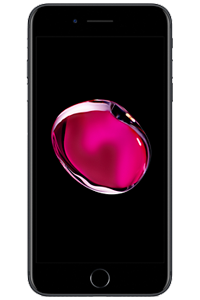 If you are looking to unlock your iPhone 7 without leaving the comfort of your home, you have come to the right place! At doctorSIM, we have the lowest prices guaranteed and first-class customer support available 24/7 to assist you throughout the process. To unlock a phone, it is very important to specify the original operator. Don't worry if you don't know to which network your device is locked, because you can easily find out the original operator of your iPhone 7 by clicking here. 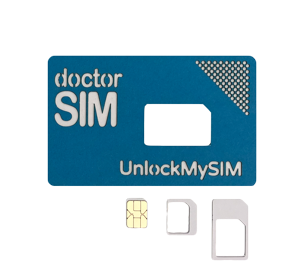 Once you've unlocked your iPhone 7 online with doctorSIM, you'll be able to take full advantage of all its new features on any network in the world. All you need to do it send us a few details by completing our online form and we'll send you simple step-by-step instructions on how to unlock your iPhone 7. Unlocking iPhone 7 with doctorSIM is rated 4.8 out of 5 based on 53 reviews .